Tech ramblings from a guy named Todd, too often called Scott. Maybe you are like me and you have a new syslog destination (SIEM is grand). Maybe you want to ensure that all of your vSphere hosts are configured the same. In vSphere 5.1 the Set-VMHostSysLogServer cmdlet was added to PowerCLI. While there are other ways to accomplish the same task, I tend to prefer using any method that is more obvious when coding. Set-VMHostSysLogServer it is. 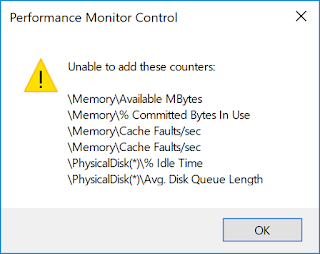 When running VMware Workstation on Microsoft Windows, the VMware Authorization Service (vmware-authd.exe) may place a high CPU load on the system. Upgrading from Workstation 14 to the latest Workstation 15 had no impact, so it's not something that VMware recently fixed. I remember the issue from many years ago, but not how to resolve the situation. I'm documenting here so that I don't forget the solution. It's my remind-future-self post. While I found plenty of Google hits with a similar complaint, I hadn't found any solutions that worked for me. Bob's reply sent me to an article on michlG's blog. 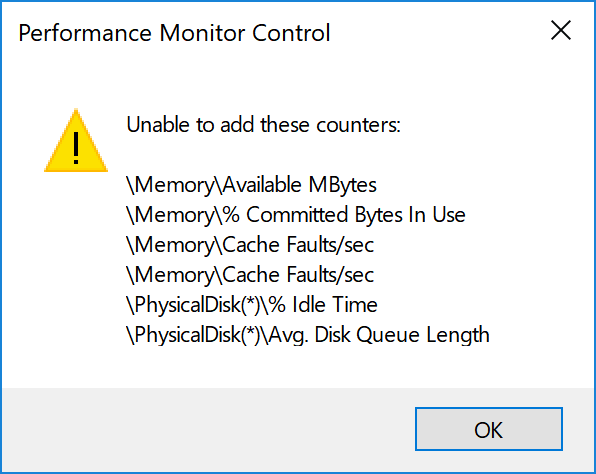 The proposed solution did not fit my particular circumstances, but it got me on the right track: looking at Windows performance counters. lodctr /q to find anything disabled. Today my team was discussing the need to search all user registry hives when scanning for malware. It's not too bad to do this manually if there are a two user profiles on a system, but it gets considerably more tedious on common-use PCs with more user profiles. And I'm lazy. The process might also prove handy for other registry-related tasks, where perhaps can't use Group Policy to be lazy. Queue Load-UserHives.ps1. This quick-and-dirty PowerShell will search the system for available user profiles and load each key. Later, you can reverse this with the -Unload switch. Rather than externally tracking what was loaded prior, a simple naming prefix is used for the unload process. We have a vSphere 5.5 environment with your standard multiple paths to shared storage. In our case, 2 paths to each of 2 nodes in a 7000-series HPE 3PAR array. That's one device and the LUN IDs should be the same. In this configuration, vSphere sees the same device multiple times. Whoa Nelly! I've condensed the output some, but that's 12 paths instead of 4. Each LUN ID represents one set of paths. This particular virtual volume was exported directly to the host twice and once indirectly via a Host Set. Yeah, don't do that! I found a thread on VMware Communities from Markus Kraus, where he saw the same issue, although ultimately from a different cause. Markus has a blog post too, with a great script and vCheck plugin! Using Markus' script, I was able to determine all devices with more than one LUN ID. Now we know how prevalent the issue is and which LUNs are involved on each particular vSphere host. While we like 3PAR Host Sets, our implementation was incomplete. Moving toward completion has the potential of causing more problems because exports are also tied to the Host Sets. The biggest sin here was mixing the use of direct host exports and exports in Host Sets. Place a host into Maintenance Mode. Remove the host from any 3PAR Host Set. Remove host-based duplicate virtual volume exports one at a time. We are not going to use the 3PAR GUI because it's not granular enough. Removing a host from a host set would also remove the exports and risk impact on other hosts. ssh into the 3PAR to access their rather nice CLI. What I found to work best is to first remove the host from any Host Set followed by a rescan of the vSphere host HBA. When that is completed, unexport any duplicate exports by removing the highest LUN ID(s). Then rescan HBAs again. Keep in mind that VVNames and Host Set Names are case sensitive. Some of us have been running Microsoft SQL Server on top of vSphere for years. Maybe it was only for your pre-VCSA vCenter or maybe you have dozens of instances--but that doesn't stop an official Best Practices Guide from being good reading. VMware has just updated, re-titled, and published "Architecting Microsoft SQL Server on VMware vSphere -- Best Practices Guide." There looks to be some pretty good information within, so get comfortable and grab the PDF here. I’m rather red-faced right now. I chimed in with a reply in the VMTN VMware vSphere PowerCLI forum and promptly got schooled. Which is great; these things should happen. In this thread, VMTN Communities member denjoh44 asked how one would obtain a list of templates along with the name of the vSphere hosts on which they reside. My personality dictates that I should feel silly about my reply. Christophe nailed it with a one-liner. Instead, I’m going to focus on my inexperience with Get-View and do some reading. I'll endeavor to always keep calculated expressions in mind as well. An I.T. enthusiast and professional. Journeyed from help desk administrator, to application programmer, to systems programmer, to running an I.T. organization from Old School to heavily virtualized. My favorite focuses are on scripting, networking, security, and virtualization. Copyright, Todd A. Scalzott. Awesome Inc. theme. Powered by Blogger.